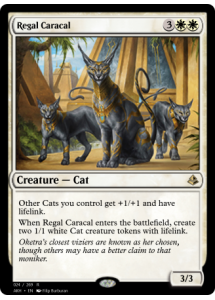 Other Cats you control get +1/+1 and have lifelink. 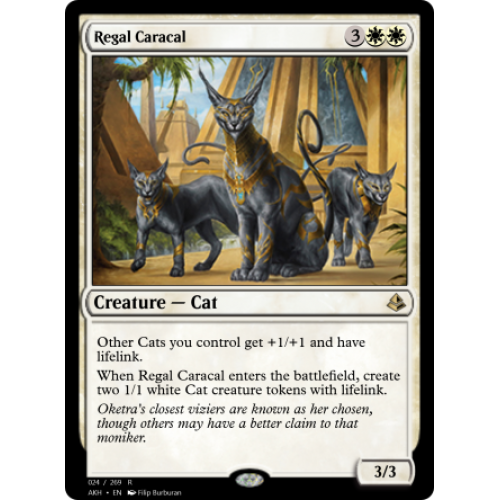 When Regal Caracal enters the battlefield, create two 1/1 white Cat creature tokens with lifelink. Oketra's closest viziers are known as her chosen, though others may have a better claim to that moniker.